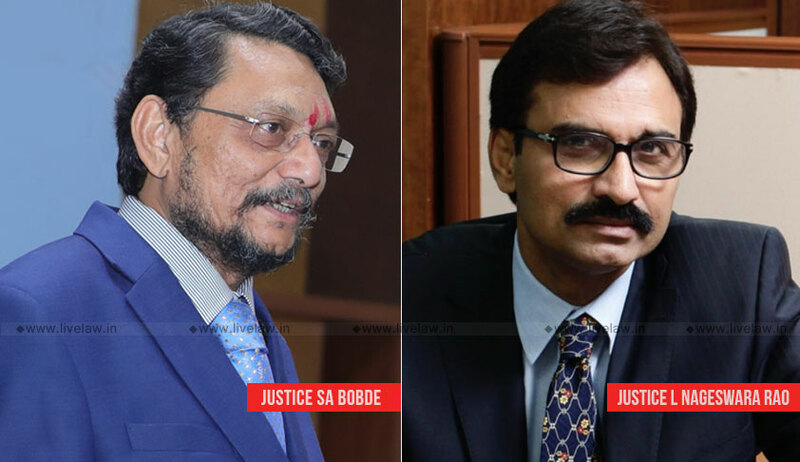 A bench of Justice SA Bobde and Justice L Nageswara Rao stayed the declaration of results while taking on record a status report filed by the CBI in a sealed cover. The court is hearing a PIL filed through advocates Prashant Bhushan and Govind Jee wherein a stay had been sought on the examinations on the ground of large-scale corruption, leakage of question papers, use of remote access software for solving papers, screen-sharing of candidates’ computer terminal to unknown persons etc. The PIL also sought court-monitored probe besides the constitution of an expert committee to suggest systematic reforms in the SSC examination system. The SSC, under the Department of Personnel and Training (DoPT), conducts exams for recruitment to various group B Non-Gazetted Posts (Examiner & Preventive Officer in Customs, Inspectors in Central Excise & Taxations, Sub-Inspector in CBI, Assistant Enforcement Officer in Enforcement Directorate & Statistic Investigator etc.,), and Group 'C' Non-Technical post (Auditor in CAG, Accountant in CAG and Controller General of Accounts, Tax Assistant etc.,) in Government of India. The SSC also recruits to Group 'B' Gazetted posts of Assistant Accounts Officer and Assistant Audit Officer for the Indian Audit and Accounts Department. The exams are conducted in tiers. In 2017, the SSC conducted an online exam for Combined Graduate Level Tier-I examination in August. The candidate who made it to the cut-off list of Tier-I exam appeared for online combined graduate level Tier-II Exam in February 2018. In May, the court had directed the petitioner to make a representation before the DoPT but despite the allegations, the department went on to conduct exams for other tiers too. The petitioner also relied on the release issued by Special Task Force, Uttar Pradesh, in March showing the involvement of gang in solving SSC examinations. It also relied on a CBI FIR and the status report it had filed in July 2018. The CBI said in its FIR that an inquiry had revealed that besides other persons, one Sant Prasad Gupta, the content head of SIFY, the vendor of SSC exam, was also involved in the leakage. The court observed that the report speaks volume about the illegality raised by the petitioners and the role of SIFY/ its content head/ students involved and remote sharing of the server has been admitted. Taking a strict view of the submissions made by Bhushan and Jee vis-à-vis the CBI’s report, the court stayed the declaration of results of the exams to some of the most sought-after positions in the Government of India.